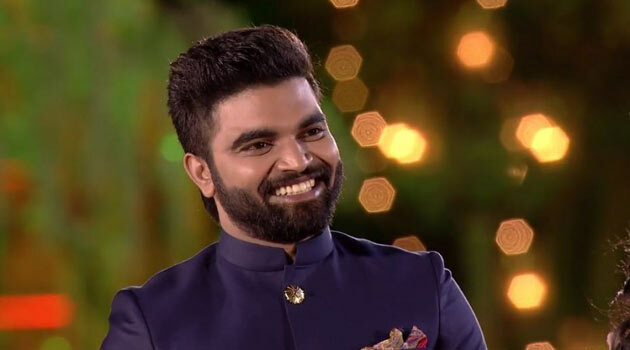 After the second season of Bigg Boss, star anchor Pradeep Machiraju came up with his reality show 'Pelli Chupulu'. The concept itself was disliked by many and with the recent episodes, even the adult content in the TV show is also increasing day by day. It is a known fact that the show is about finding a bride for Pradeep. On this note, 14 girls were selected as the contestants and various tasks will be performed by them. As one of the tasks, the groom Pradeep should guess who the girl is by seeing her lips, eyes, nose, ears, waist etc. More than that, it seems like the management is more into showing the body parts of the female contestants and increasing the TRP. If Pradeep succeeds in guessing the girl's name by seeing her lips, then it means he has feelings for her and on the other hand, the girls the dying to get recognised by Pradeep is creating too much drama. It seems like if the show goes on like, this the makers will even make two or more girls get into a physical fight for Pradeep to increase the TRP. Though the show hasn't indulged in any controversy yet, we can say that it is already on the way for Pradeep.